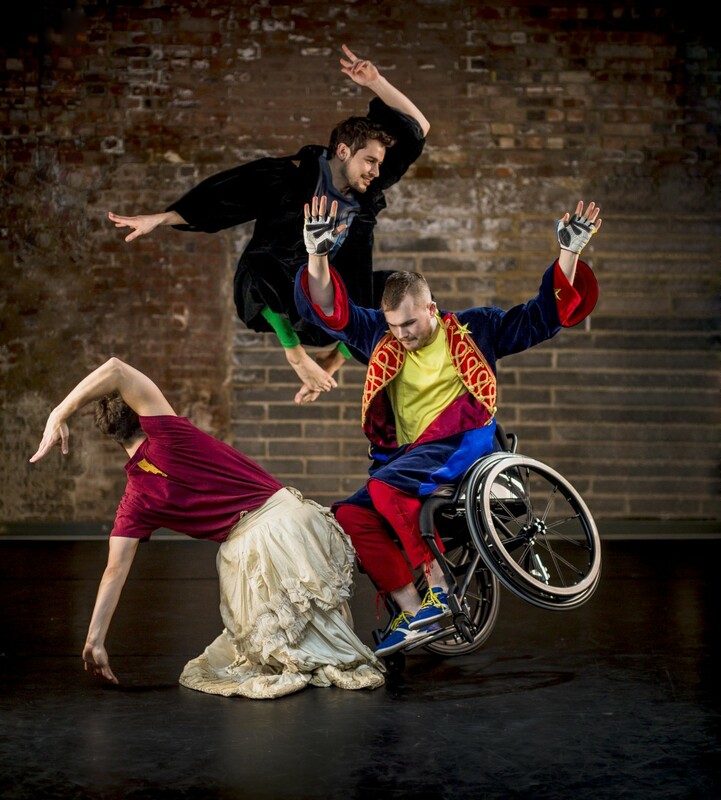 Candoco Dance Company, the renowned contemporary dance company of disabled and non-disabled dancers, is twisting perceptions of what dance is, who can dance and who enjoys it in Playing Another,an evening of two new full-company works by Thomas Hauert and celebrated visual artist Hetain Patel. Thomas Hauert’s new piece Notturnino is a playful and poignant full company work that takes inspiration from the documentary Tosca’s Kiss, a touching film that follows the lives of retired opera singers living in a nursing home in Milan. Using the soundtrack from the film, the piece is scored by fragments of conversation, reminiscences and great operatic works performed by the ageing singers. Through humour and melodrama Notturnino explores the fragility of the human condition. Hauert has created a tightly structured improvisational score with Candoco’s dancers, resulting in a truly unique experience for each performance. Acclaimed visual artist Hetain Patel’s new work for Candoco is a humorous and intimate piece that builds on an exploration of the dancers’ individual personalities and physicalities, interrogating questions of what identity is and how it is formed and challenging audiences to think beyond surface appearances. Hetain’s TED talk ‘Who am I? Think again’, a performative interrogation of identity, inspired by Bruce Lee and performed with Yuyu Rau, has been an internet sensation with over 1.2 million views. An entertaining and fun programme, that invites the audience to get up close and personal with the dancers, revealing the many facets of Candoco Dance Company. British Sign Language is used creatively in Let’s Talk About Dis but not all dialogue is translated. For deaf patrons and those with a hearing impairment a copy of the full script is available from our box office or by emailing info@candoco.co.uk.